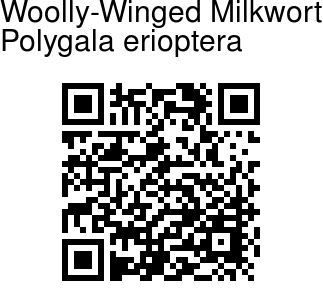 Woolly-Winged Milkwort is an annual or perennial, herb, 5-32 cm tall. Leaves linear-threadlike to obovate-lanceshaped, blunt ot pointed, 2-45 mm long, 0.75-8 mm broad, curved back. Flower racemes are lateral, lax, shorter than leaves, 3-27 mm. Bracts are persistent, shorter than flower- stalks. 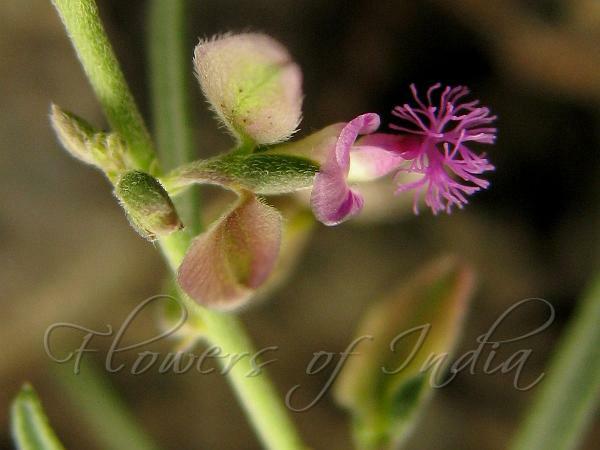 Flowers are greenish-blue, purple, yellowish or violet. Sepals are persistent - outer sepals unequal, upper larger than the lower ones - inner sepals are ovate, obtuse, 3-5 mm long, 1.5-3 mm broad, enlarged in fruit. Lateral petals are shorter or equaling the keel; keel 2.5-4.5 mm, crested. Capsule is elliptic-oblong, notched, 2.5-5 mm long, 1.5-3 mm broad, velvety. Flowering: all year. Photographed at Chandan-Vandan Fort, Satara, Maharashtra.